Have you had any fun today? Playtime is important...even for grown-ups. Playing can be good therapy, and it even helps us perform better at our jobs. In fact, the great philosopher Plato said "Life, must be lived as play." 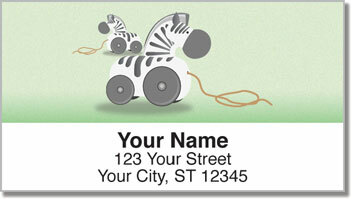 Let these charming address labels remind you to take time to mess around. Whenever you prepare outgoing mail, you'll think of the toys and games you played with as an imaginative little kid - full of energy and curiousity. 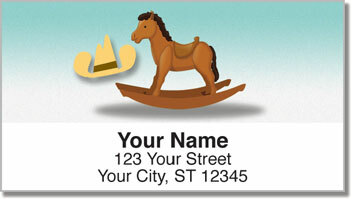 The best thing is, even using these self-adhesive labels can be a fun experience. They are stickers after all! Just peel and place one on each envelope and forget the mundane hassle of scribbling out your return address time after time. 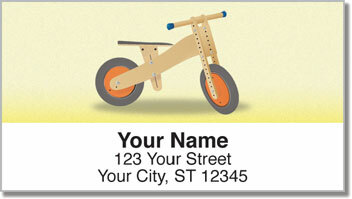 Get your very own Kid Stuff Address Labels from CheckAdvantage today! 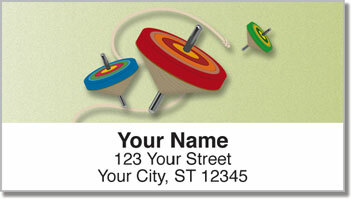 Order them with matching personal checks and free shipping.